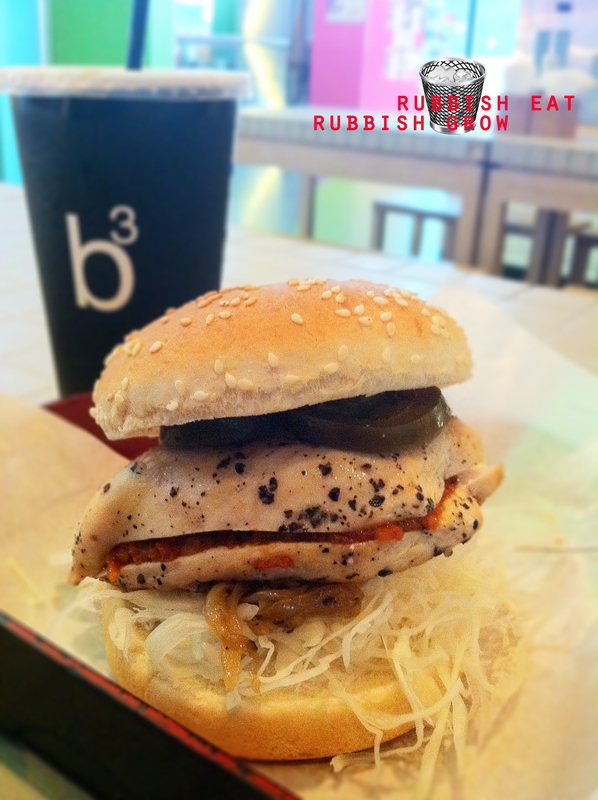 Burger Bench will be serving the last burger on 31 July so I feel oblige to write about it. Every time I pass by Burger Bench & Bar, I see that it isn’t as crowded as the fastfood and other restaurants nearby. Now, Singaporeans, if I have one thing to say about eating, it would be: STOP EATING JUNK. 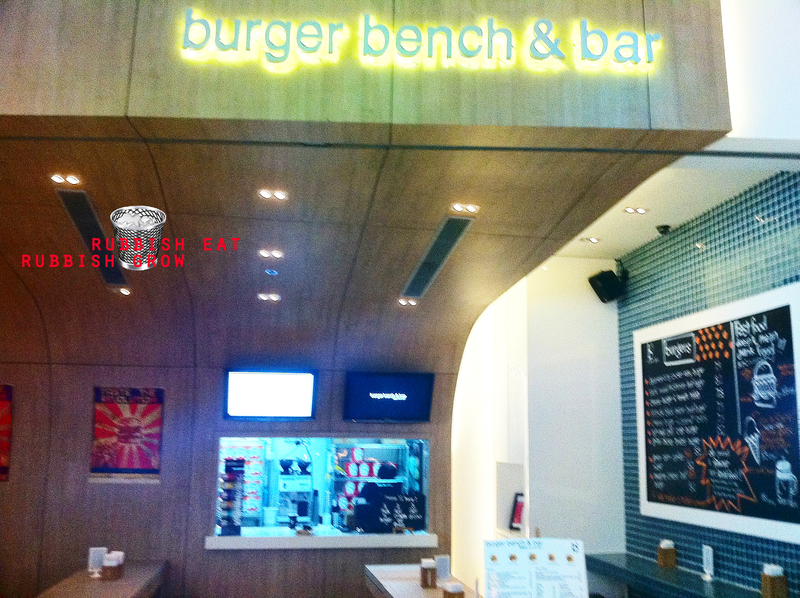 I’ve eaten here a few times, and Burger Bench & Bar’s burgers are very delicious and comforting. Sure, the ingredients aren’t organic but at least they are not made of processed meat loaded with chemical preservatives. The other day, I ordered the Chicken Breast burger ($8.50) at the counter, got a number, and they sent the burger to me. Chicken Breast because it’s healthy, low-fat, high in proteins. I love it that the joint provides healthy alternatives to their more unique burgers such as green curry catfish burger ($8.20) and Japanese curry torikatsu burger ($8.20). It has caramelized onions, shredded cabbage or some vegetable, pickles, and they bothered to stuff the breast with sundried tomatoes. Although chicken breast is tough in general, the more I ate it, the happier I got. At least this chicken breast was juicy, so it was not overcooked. The vegetables were crunchy and fresh. It was filling up my stomach and yet I felt light. Two minor grouches I have is: the restaurant could have been more positive. For instance, at the condiments corner, it wrote, “Mustard: Not for non-beef burgers.” See the negativity? Two negatives: “not” and “non.” It could have been rephrased by saying “Usually for beef burgers.” I think this negativity spills over so that the workers looked tired. The second gripe I have is: if this is a healthy joint, as it promotes itself, then why are the condiments processed? And the buns of the burgers too? Go all the way, man. Overall, I like this place very much. So now you have two choices: (1) continue eating the fast-food crap and end up with cancer or (2) eat healthy. Your body is your temple. Don’t let another healthy joint close down again. Yes, it’s open on 30th and 31st, Sat and Sun. Will be shut down on Monday onwards…forever.